Do you find it easy to put together casual outfits or do you find formal dressing easier? Dressing casually for fall can include texture, pleats, layers, plaid and, of course, a great pair of jeans. Here are 19 chic, casual looks to give you some inspiration and we included items currently available in shops so you can copy the looks too! Let me know which one is your favorite in the comments. 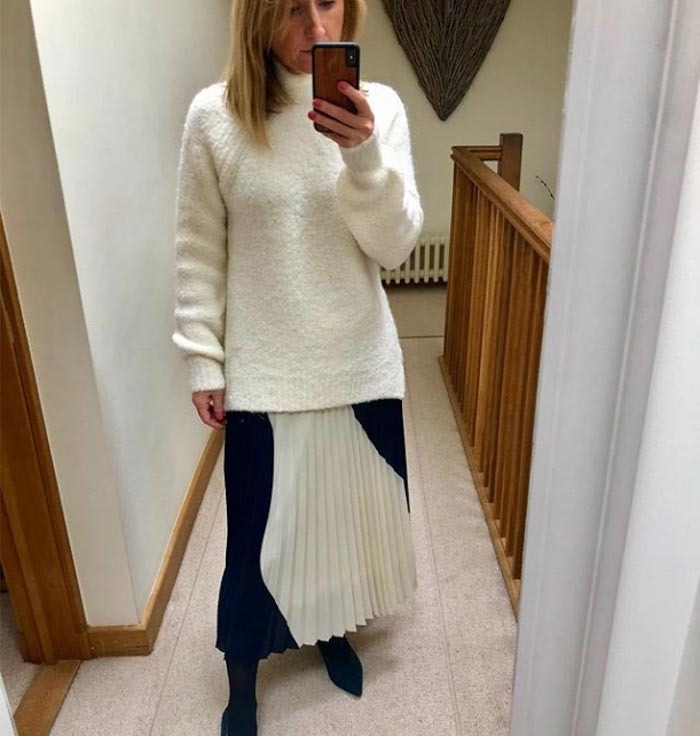 A pleated skirt worn with a fluffy sweater and long boots. This look is very similar to current styles worn by Victoria Beckham. A great fitting pair of jeans and a white top. This outfit is given added interest through the lace tie on the shirt. A layered look which shows you don’t need to pop your summer top to the back of your closet when fall arrives. Instead, you can layer with a cardigan in fall hues. This look is finished with gray booties and a leopard print bag. 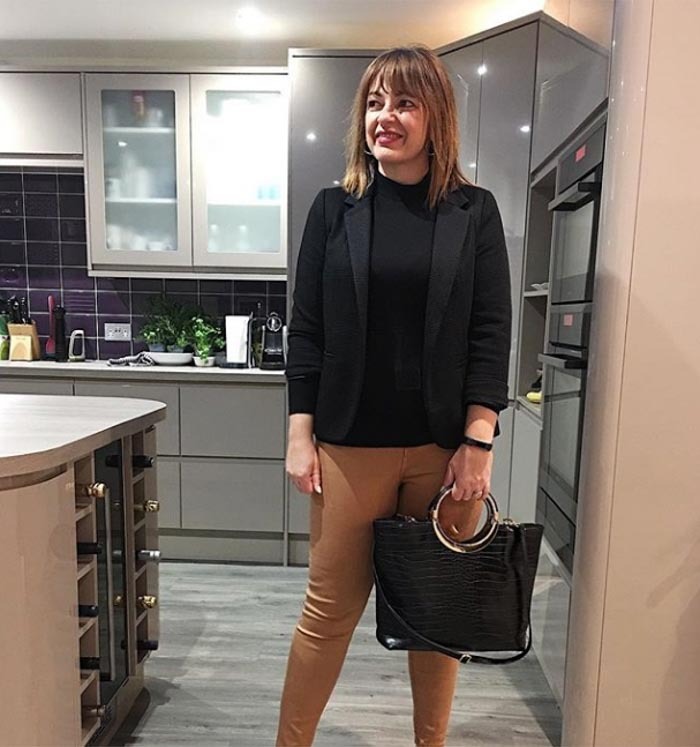 A classic neutral look which teams camel pants with a black sweater and blazer. This look could be dressed up for work with heels, or worn with sneakers or flats for casual days. A look which features one of the biggest trends for fall 2018; plaid. 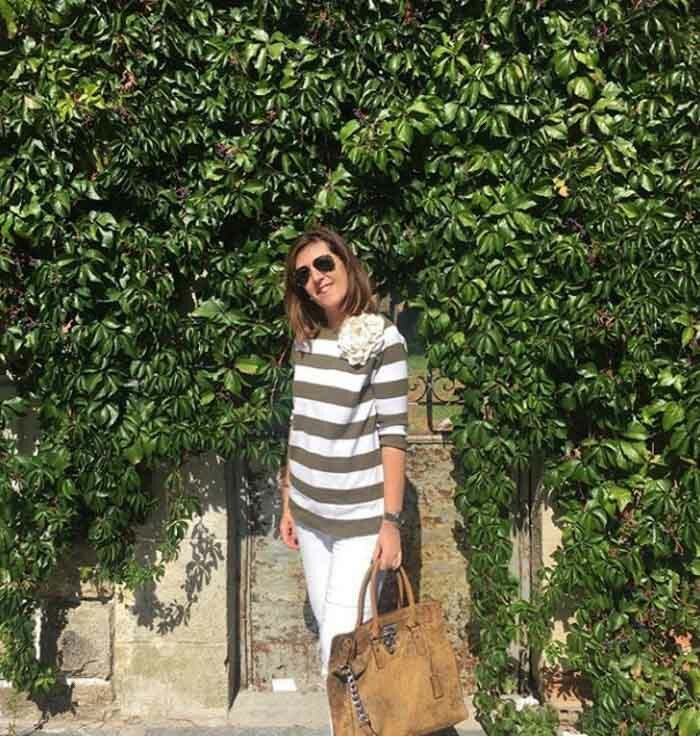 This on-trend jacket is worn with a column of olive green, and big sunglasses. Another neutral look for days when you want to be smart but casual. This blazer features three-quarter length sleeves and is worn with an on-trend waist-belt bag. A biker jacket is always a great layering option for fall. This one is teamed with gray cropped pants and a simple white tee, as well as heeled booties and a bang-on-trend burgundy saddle bag. A patterned midi dress features a graphic print and is paired with over-sized sunglasses. A striped sweater is always a classic, whatever the season. This outfit sticks to neutrals, with extra interest with the addition of a flower brooch. A lesson in layering! 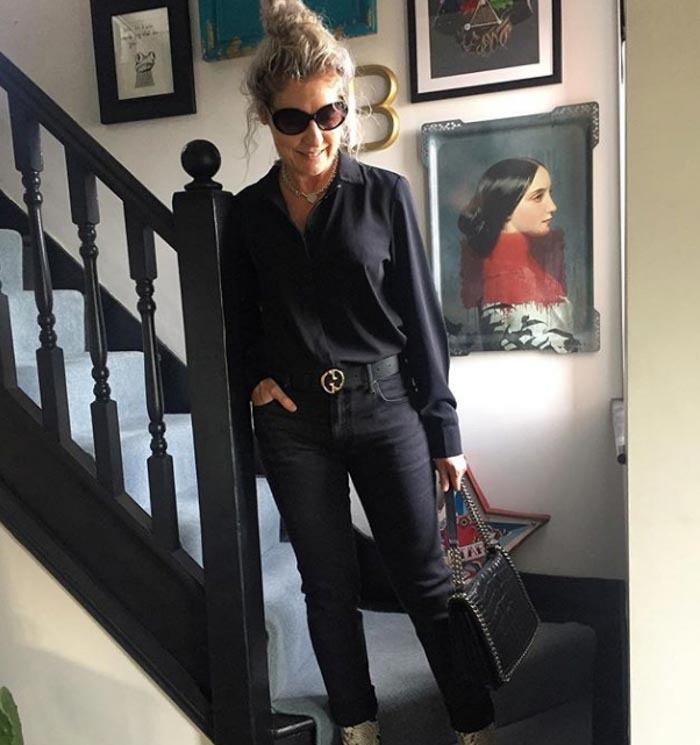 Here, leather pants are worn with a black lace top, which creates a column down the center of this outfit, before a denim shirt and camel coat are added. Sneakers keep this look casual. A cozy outfit featuring one of the biggest colors for fall; burgundy. 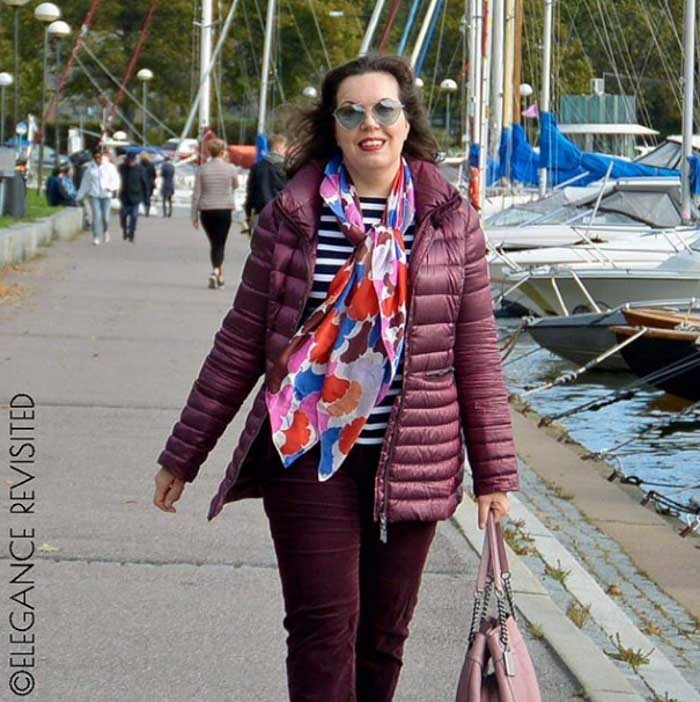 The addition of nautical stripes and a floral scarf is perfect for an autumnal walk around the marina. Now, where did we leave our boat? An all-neutral look featuring a fun motif on the sweater and worn with on-trend pants, which feature a stripe down the side. This outfit is accessorized with metallic sneakers. 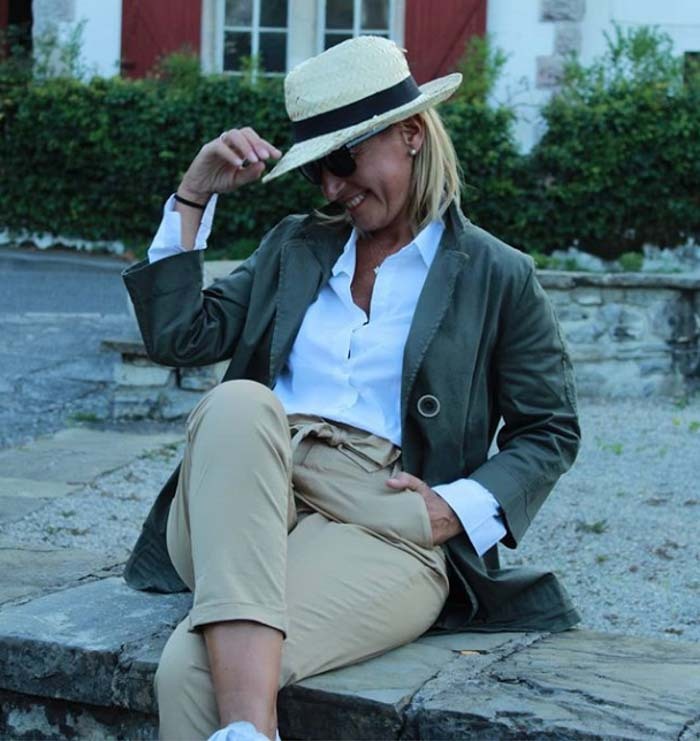 A classy fall look featuring chinos and a white shirt, worn with an olive green blazer and straw fedora. this outfit is finished with a pair of sunglasses and a pair of pearl earrings. You don’t have to save your pastels for summer. A sweater is tied casually around the neck, worn over a blouse in a similar hue and teamed with kitten heels and a crossbody bag. An all-black look worn with a pair of snakeskin booties and accessorized with a black handbag with chain detailing. 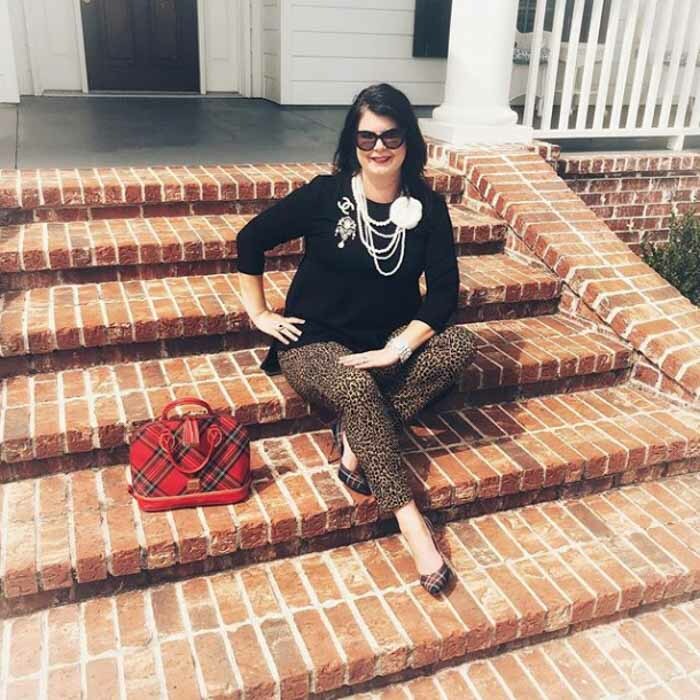 Leopard print is mixed with tartan here, and accessorized with pearls and a Chanel brooch. A bold, yet classic outfit which shows you definitely don’t have to stop wearing white after Labor Day. This look features a classic palette of blue, red and white. 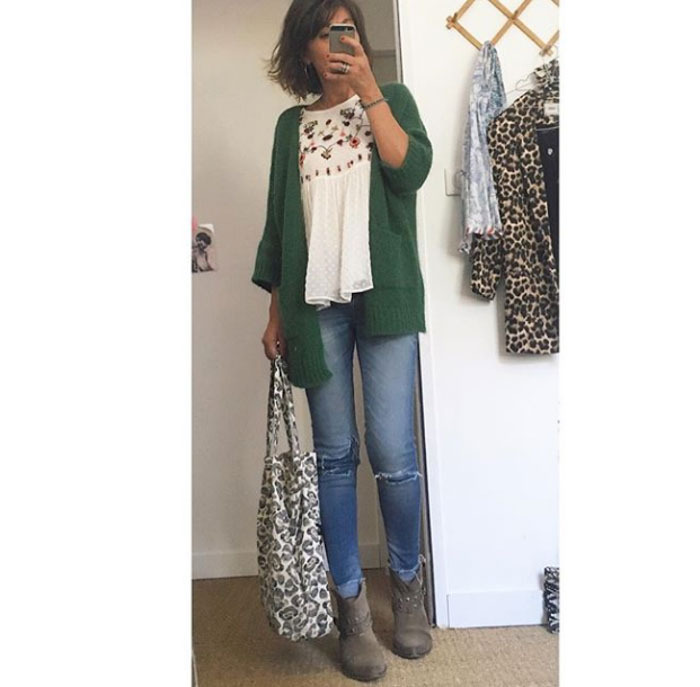 A statement necklace and red booties finishes off this outfit with aplomb. 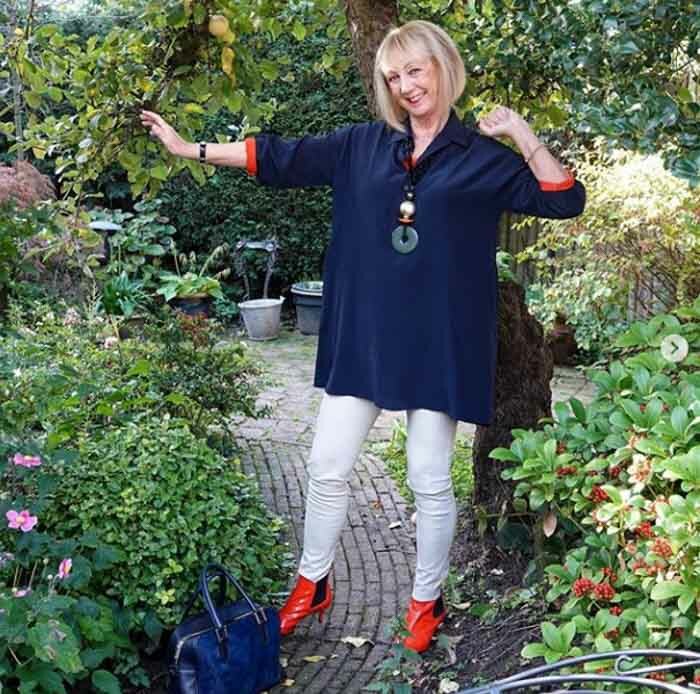 Greetje also shares useful style tips in her interview here. Another stylish look featuring leopard print. 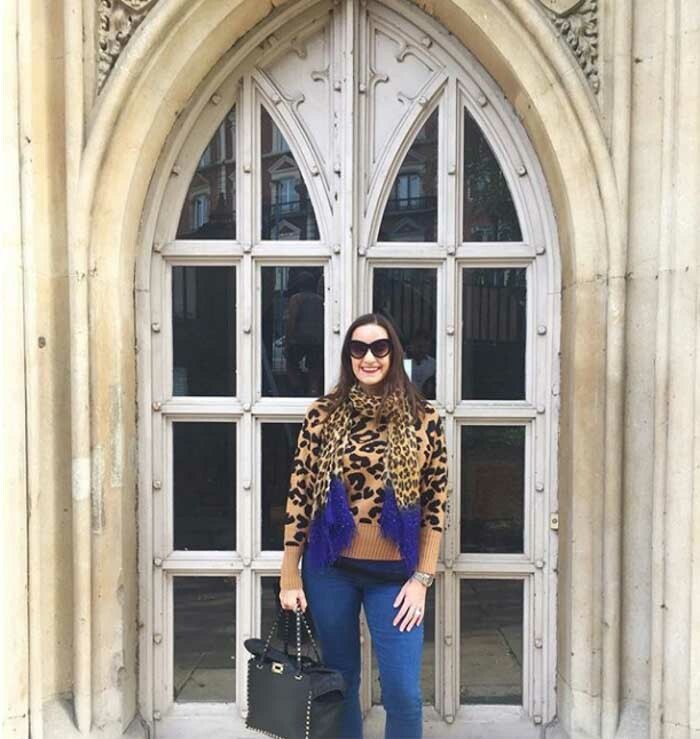 A leopard print dress is teamed with an animal print scarf, featuring a pop of blue. 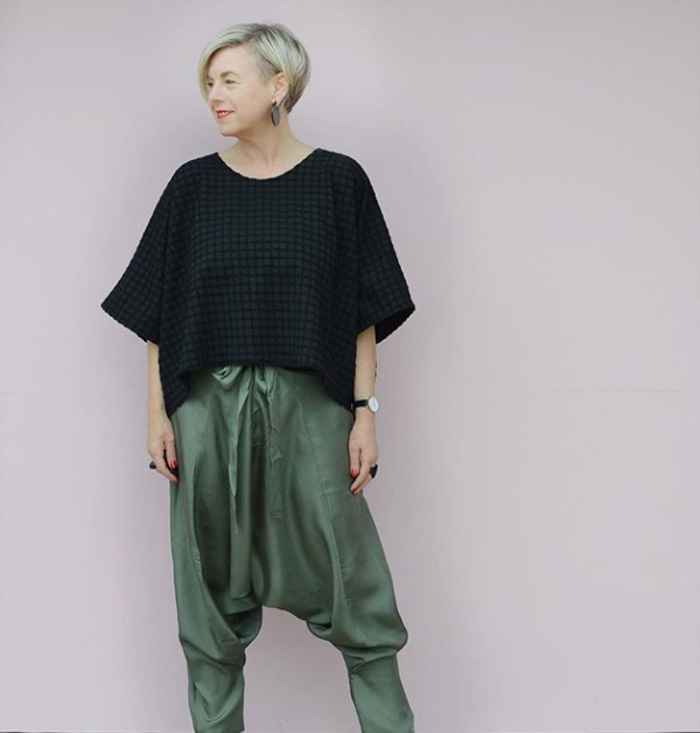 A pair of green harem pants are paired with an over-sized textured tee and round earrings. 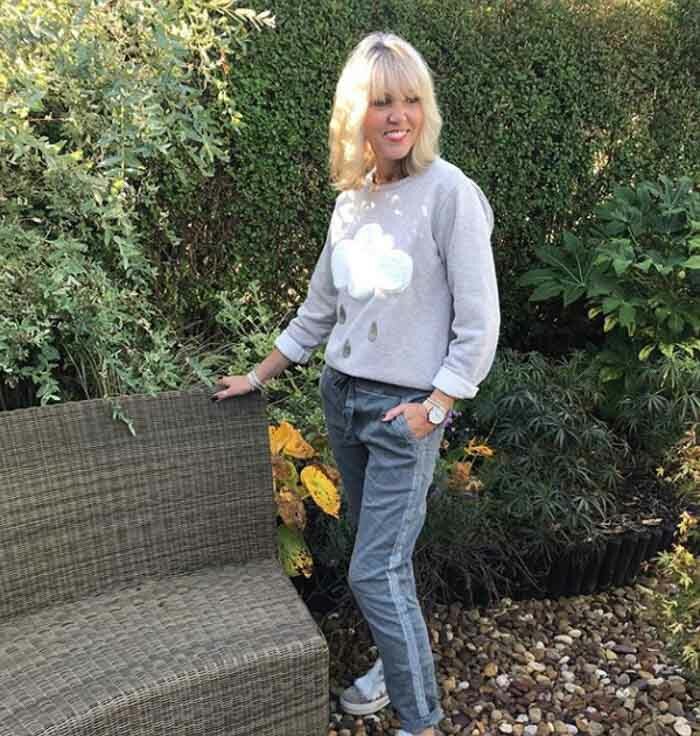 Deborah shares more about her style here. So many great outfits – I especially love the one by Stylish Murmurs. It would be nice to see some fatter women and cultural diversity in some of these roundups too. It’s hard to pick which one I liked the best. I choose 6 out of the 18 outfits. I guess my favorite would have been #12: A classy fall look featuring chinos and a white shirt, worn with an olive green blazer and straw fedora. this outfit is finished with a pair of sunglasses and a pair of pearl earrings. I can’t say that I would wear the fedora – but I love the look. #3: A layered look which shows you don’t need to pop your summer top to the back of your closet when fall arrives. Instead, you can layer with a cardigan in fall hues. This look is finished with gray booties and a leopard print bag. #5: A look which features one of the biggest trends for fall 2018; plaid. 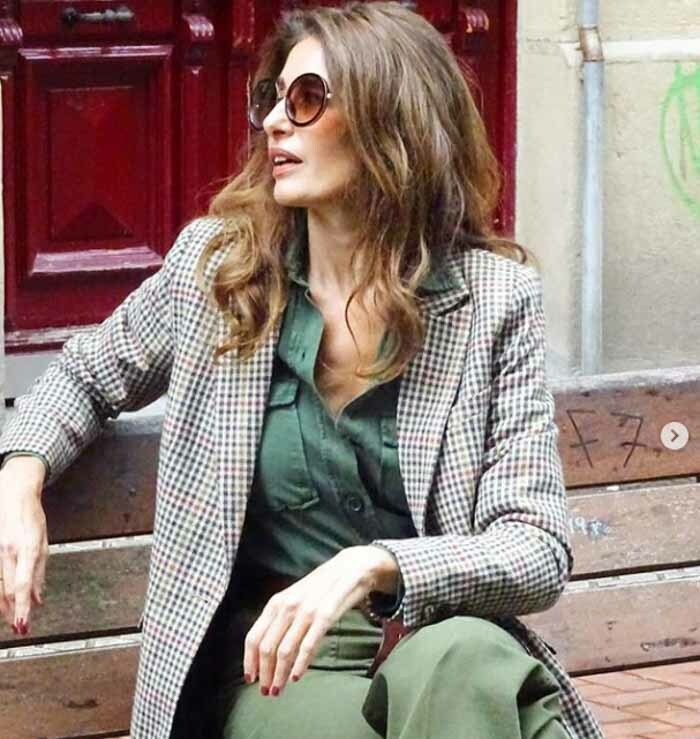 This on-trend jacket is worn with a column of olive green, and big sunglasses. #8: A striped sweater is always a classic, whatever the season. This outfit sticks to neutrals, with extra interest with the addition of a flower brooch. 13: You don’t have to save your pastels for summer. A sweater is tied casually around the neck, worn over a blouse in a similar hue and teamed with kitten heels and a crossbody bag. #14: An all-black look worn with a pair of snakeskin booties and accessorized with a black handbag with chain detailing. I can say that I could work with most of these styles – I would just pick different colors and patterns. I guess the few that I didn’t particularly like were the green harlem pants and I’m really not much on leopard prints. I like the green cardiac and biker jacket ones, boho feminine chic being my thing. I think there have previously been women of different sizes and ethnicities in these features. I am partial to the looks with the tweed jackets and white blouse or column of color. Classic, easy to wear and the perfect palette to refine with shoe, bag and jewelry choices. 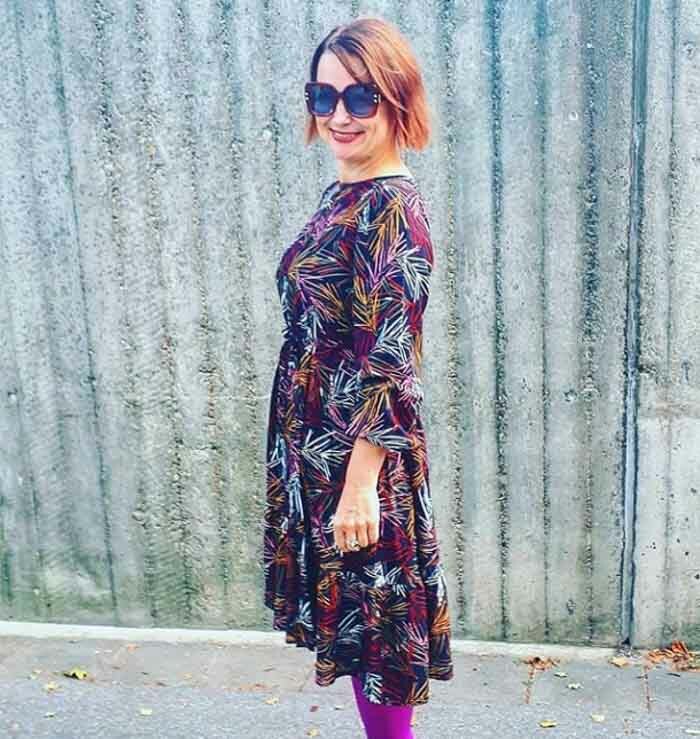 I have narrowed my favourites down to the patterned midi dress and the layered look from Delfstel and Immer.shick …love them, although many others I like too. Oh how nice, you featured me again. Thank you. I love the black and white look of things.mi as I still am a big lover of black and white, although I try to avoid it too as it is not the best colour combination for me. The trousers of Deborah (stylish murmurs).. fantastic. Some fabulous looks here Syliva! Thanks for all the inspiration!